In the preamble leading up to and into my visit to Australia from the armchair I have been delving into the lives of Australian women writers. I've had The Little Company by Eleanor Dark on my shelf for years and then my interest turned to Miles Franklin and I bought a copy of My Brilliant Career. Then don't ask me how I came across it, but I discovered a book of letters between six Australian women writers from the years 1930 to 1957 and I had to have it. Thanks to Kenny's Bookshop in Galway who have often turned up with the unusual books over the years. I had a great Mitford letter reading fest last year what with Decca, The Letters of Jessica Mitford and then The Mitfords, Letters Between Sisters and it was definitely the scope and fascination of the second volume with its variety of writers that appealed. 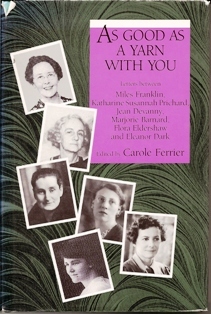 As Good as a Yarn With You edited by Carole Ferrier and published in 1992 by Cambridge University Press is a collection of correspondence between Miles Franklin, Susannah Prichard, Jean Devanny, Marjorie Barnard, Flora Eldershaw and Eleanor Dark. The friends also critique each other's writing honestly and with a frankness that is often quite astonishing. Marjorie Barnard takes no prisoners as she tells Eleanor Dark exactly what she sees as the flaws in The Little Company. 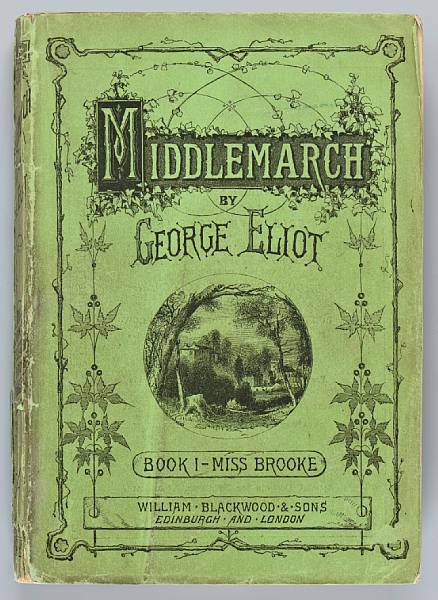 and so it goes on, none of the friends liked it , must all have wrecked Eleanor's day and it's quite some while before there's another letter from Eleanor to Marjorie but of course the friendship survives. I've read it again somewhere recently, books of letters are nearing their end, the demise is almost upon us and e mails with their clipped language will surely be a poor substitute. Few of us now give time to writing letters any more and that makes the reading of volumes like this even more poignant. The women share their moments of grief and depression, joy and happiness and in doing so have provided the rest of us with a real insight into their lives. I used to have stacks of penfriends when I was younger, Monique who lived in Montbard in France, Christine from Ripon in the UK and one in India who lived on Chandni Chowk Street in Delhi and, shame on me, I can't even remember her name now, but how I wish I'd kept her letters. In many ways perhaps this blog is ' as good as a yarn with you' but it's no substitute for a letter, perhaps we should instigate National Letter Writing Week before it's too late? Write a Friend a Letter? WAFAL?...waffle who cares, a letter's a letter and becoming a rare thing these days.